In today's highly competitive era, construction industry requires very low service turn over time. The basic reason being companies face big losses in case of damage or fault in the heavy machinery like - cranes, dumpers, trailers etc. However, servicing process turns out to be a time-consuming process as it involves spare part identification, order etc. Thus, here crops up a need for a digital system which can make the entire process quick and help OEMs in spare part management. 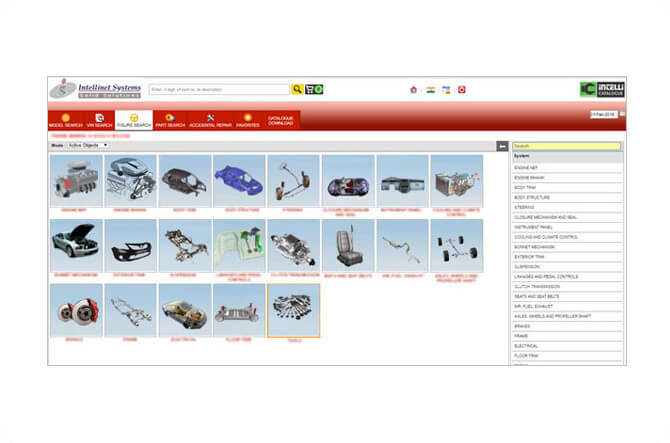 Intellinet's construction spare parts catalogue software is one stop solution as it digitalizes the spare parts identification, ordering process, spare part management etc. 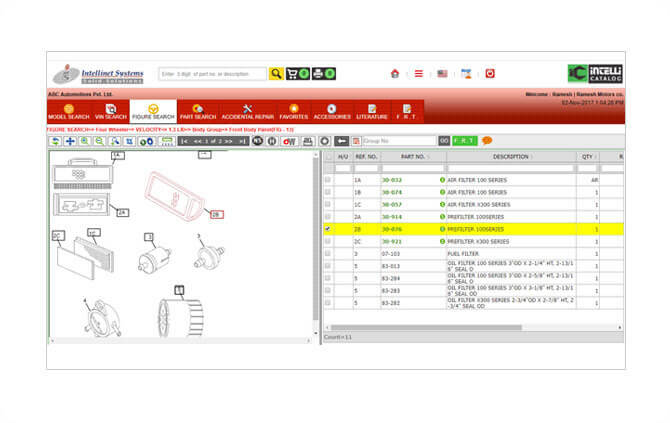 How Intellinet's construction spare parts catalog software is helping OEMs? Hundreds of small parts are assembled together for creating a single machine and every OEM deals in numerous machines. Thus, keeping a track of all parts is a challenging and time-consuming task. Identification of spare parts is a hard task and in the absence of a product number, it looks next to impossible. However, construction spare parts catalogue software offers easy part identification via synchronized assembly drawings. You just need to know the model of your machine as further there are assembly drawings available which make the process quick and easy. search box, select and place the order. However, if you are not aware about the part number then you can go to assembly drawings and can easily identify the required spare part. With our electronic spare part catalog, we also offer SAP, ERP and DMS integration which provides instant ordering process. We also offer a storefront for distributors and dealers so they can instantly place their order in just few clicks. major construction projects run in remote areas and if any machine gets damaged then ordering the spare part from the remote area becomes a challenge. The Electronic spare parts catalogue is available in web, desktop, IOS as well as Android so one can easily place the order from the remote area. this software also allows you to place order 24*7 as it makes the entire process digital. Thus, you can order the part as soon as you receive its demand. with electronic spare parts catalogue software, spare parts becomes available in a short span which in turn reduces the vehicle turn-out time. Thus, the downtime of the heavy machines decreases which is quite important in the construction industry.